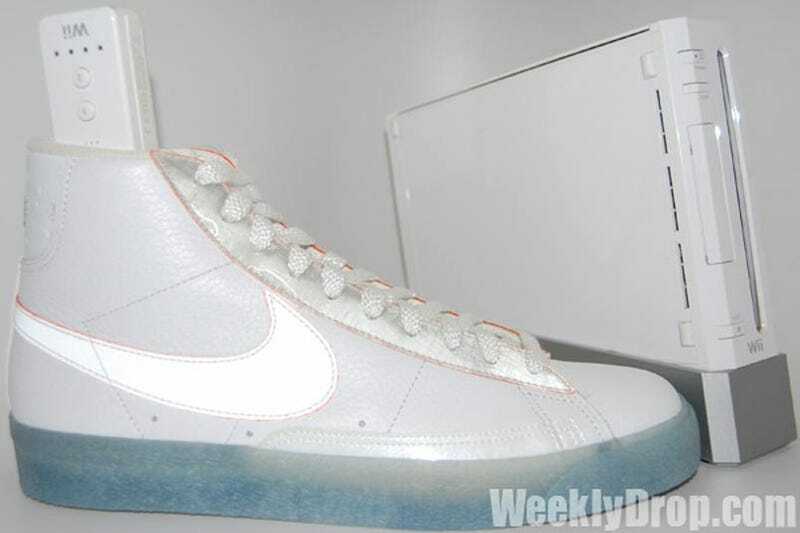 If the NES Air Max sneakers weren't your thing, then maybe you'll appreciate the Wii Blazers. But if not, Nike will release every Nintendo f'ing console in shoe form until you buy one. While the Nintendo Wii innovated with the motion-controlled Wiimote, the Wii Blazer innovates with a clever white color scheme and a well-suited ostrich print. Nintendo shoe aficionados will also appreciate the incorporation of the Wii's power button, meticulously stitched by the finest third world child labor on the tongue.